For THE SOCIAL GROUP website, CLICK HERE! For our SOCIAL EVENTS website, CLICK HERE! For the DEVON SOCIAL GROUP website, CLICK HERE! For the BARNSTAPLE SOCIAL GROUP website, CLICK HERE! For the EXETER SOCIAL GROUP website, CLICK HERE! For the EAST DEVON SOCIAL GROUP website, CLICK HERE! For the TORQUAY SOCIAL GROUP website, CLICK HERE! For the PAIGNTON SOCIAL GROUP website, CLICK HERE! For the PLYMOUTH SOCIAL GROUP website, CLICK HERE! For the TAVISTOCK SOCIAL GROUP website, CLICK HERE! More local area websites online soon! For the SOCIAL GROUP HOLIDAYS website, CLICK HERE! For the SOCIAL GROUP HOLIDAYS PHOTOS website, CLICK HERE! For the SOCIAL GROUP HOLIDAYS LAS VEGAS & USA NATIONAL PARKS PHOTOS website, CLICK HERE! For ANDREW’S website, CLICK HERE! For CATHY’S website, CLICK HERE! For ANDREW & CATHY’S SOCIAL GROUP website, CLICK HERE! For THE SOCIAL GROUP Twitter page @SocialGroupUK, CLICK HERE! For our SOCIAL EVENTS Twitter page @Social_Events, CLICK HERE! For our SOCIAL GROUP MAGAZINE Twitter page @SocialGroupMag, CLICK HERE! For the DEVON SOCIAL GROUP Twitter page @DevonSG, CLICK HERE! For the NORTH DEVON SOCIAL GROUP Twitter page @NorthDevonSG, CLICK HERE! For the ILFRACOMBE SOCIAL GROUP Twitter page @IlfracombeSG, CLICK HERE! For the BRAUNTON SOCIAL GROUP Twitter page @BrauntonSG, CLICK HERE! For the BIDEFORD SOCIAL GROUP Twitter page @BidefordSG, CLICK HERE! For the BARNSTAPLE SOCIAL GROUP Twitter page @BarnstapleSG, CLICK HERE! For the SOUTH MOLTON SOCIAL GROUP Twitter page @SouthMoltonSG, CLICK HERE! For the CREDITON SOCIAL GROUP Twitter page @CreditonSG, CLICK HERE! For the TIVERTON SOCIAL GROUP Twitter page @TivertonSG, CLICK HERE! For the EAST DEVON SOCIAL GROUP Twitter page @EastDevonSocial, CLICK HERE! For the HONITON SOCIAL GROUP Twitter page @HonitonSG, CLICK HERE! For the AXMINSTER SOCIAL GROUP Twitter page @AxminsterSG, CLICK HERE! For the SEATON SOCIAL GROUP Twitter page @SeatonSG, CLICK HERE! For the SIDMOUTH SOCIAL GROUP Twitter page @SidmouthSG, CLICK HERE! For the EXMOUTH SOCIAL GROUP Twitter page @ExmouthSG, CLICK HERE! For the EXETER SOCIAL GROUP Twitter page @ExeterSG, CLICK HERE! For the TEIGNMOUTH SOCIAL GROUP Twitter page @TeignmouthSG, CLICK HERE! 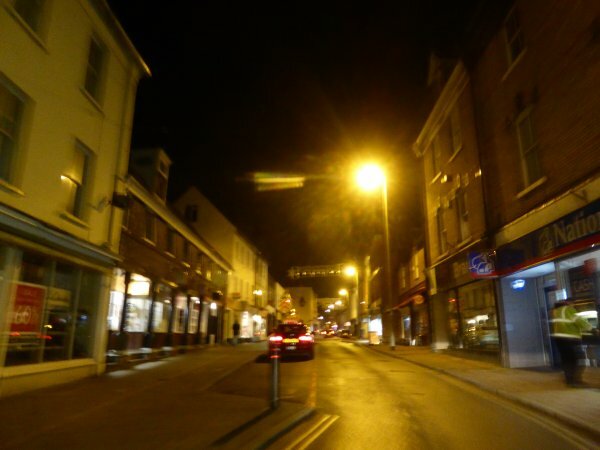 For the NEWTON ABBOT SOCIAL GROUP Twitter page @NewtonAbbotSG, CLICK HERE! For the TORQUAY SOCIAL GROUP Twitter page @TorquaySG, CLICK HERE! For the PAIGNTON SOCIAL GROUP Twitter page @PaigntonSG, CLICK HERE! For the BRIXHAM SOCIAL GROUP Twitter page @BrixhamSG, CLICK HERE! For the TOTNES SOCIAL GROUP Twitter page @TotnesSG, CLICK HERE! For the DARTMOUTH SOCIAL GROUP Twitter page @DartmouthSG, CLICK HERE! For the KINGSBRIDGE SOCIAL GROUP Twitter page @KingsbridgeSG, CLICK HERE! For the SOUTH DEVON SOCIAL GROUP Twitter page @SouthDevonSG, CLICK HERE! For the PLYMOUTH SOCIAL GROUP Twitter page @PlymouthSG, CLICK HERE! For the TAVISTOCK SOCIAL GROUP Twitter page @TavistockSG, CLICK HERE! For the WEST DEVON SOCIAL GROUP Twitter page @WestDevonSocial, CLICK HERE! For the SALTASH SOCIAL GROUP @SaltashSG Twitter page, CLICK HERE! For the TORPOINT SOCIAL GROUP Twitter page @TorpointSG, CLICK HERE! More local Twitter pages online soon! For the SOCIAL GROUP HOLIDAYS @SG_Holidays Twitter page, CLICK HERE! More holidays Twitter pages online soon! For ANDREW’s Twitter page @AHaglington, CLICK HERE! For CATHY’s Twitter page @CathyHaglington, CLICK HERE! For ANDREW & CATHY’S SOCIAL GROUP Twitter page @AndrewandCathys, CLICK HERE!